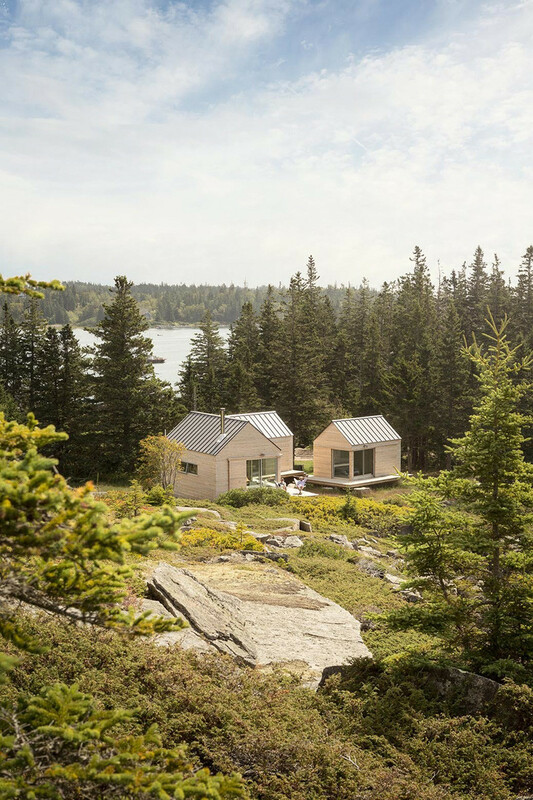 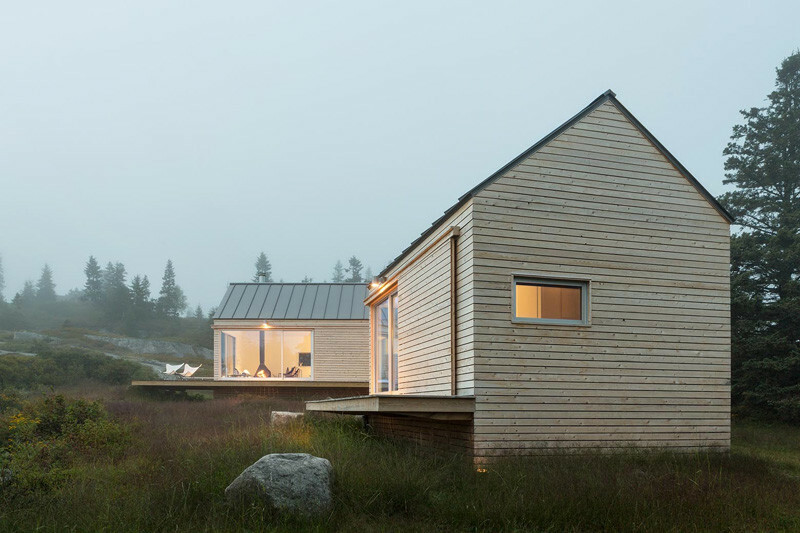 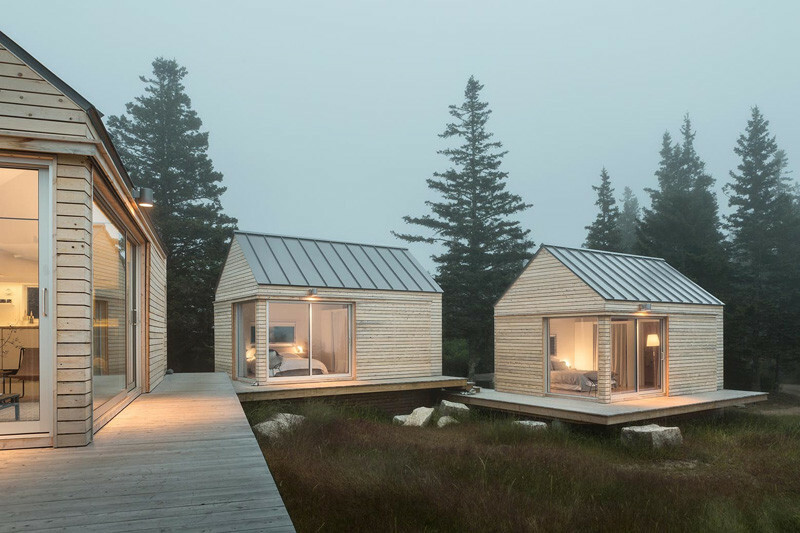 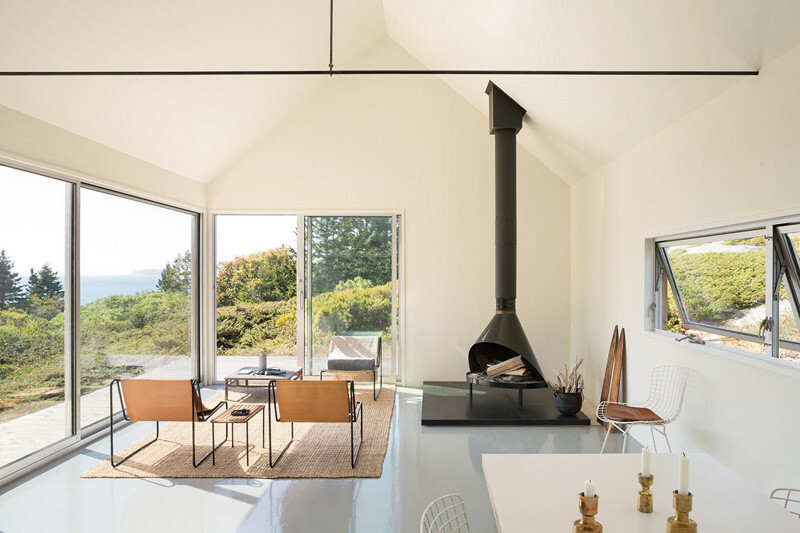 GO Logic designed these seasonal guesthouses, made up of three micro cabins, on an island off the coast of Maine. 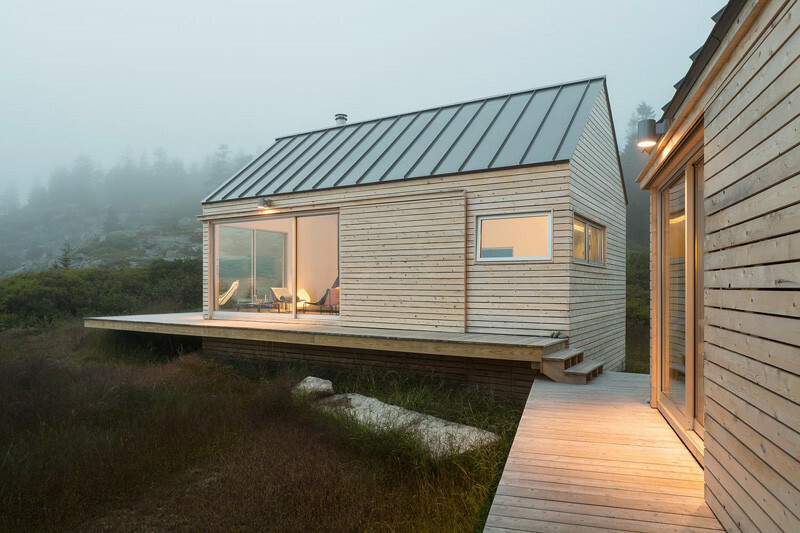 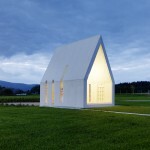 The owners, who reside primarily in Austria, spend their summers and early fall on the island, in a larger, older residence. 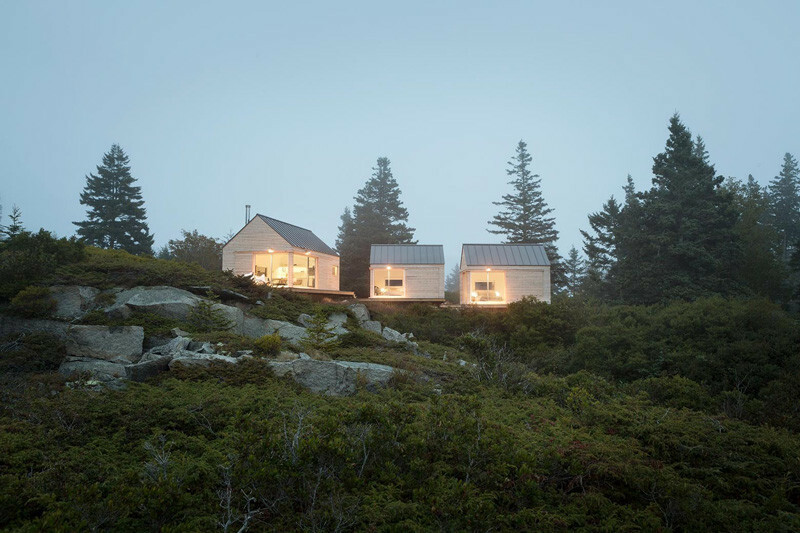 And when the adjacent property, a defunct granite quarry with a dilapidated trailer, became available, they purchased it, with plans to build a guesthouse for visiting family and friends. 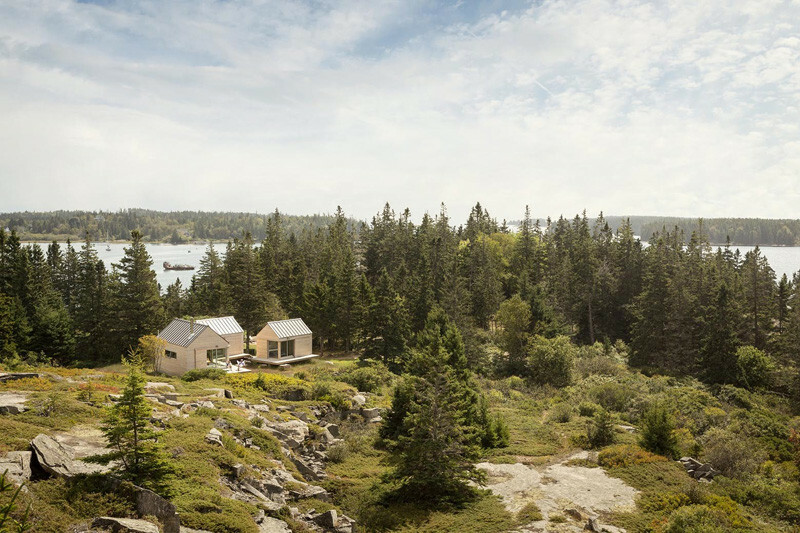 This resulted in these small cabins being built on piers that hover over the former quarry, minimizing the impact of the recovering vegetation in the area. 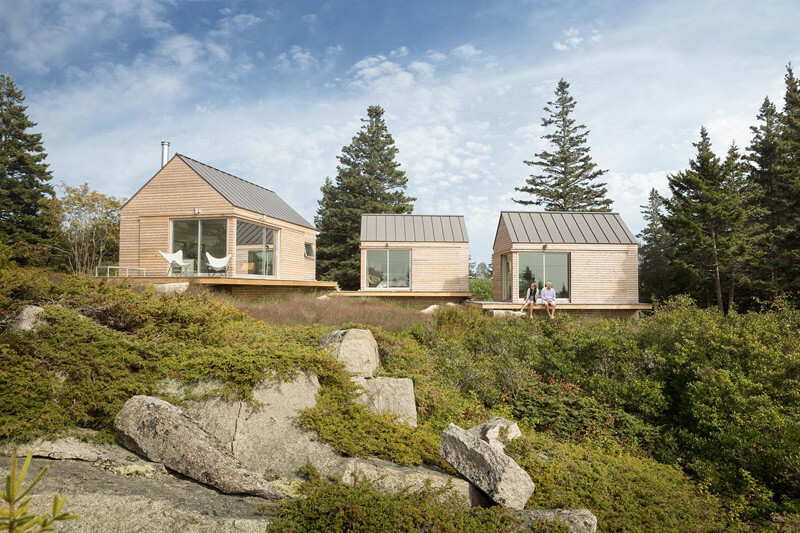 Each cabin is connected by a series of platforms, that step down to the next cabin. 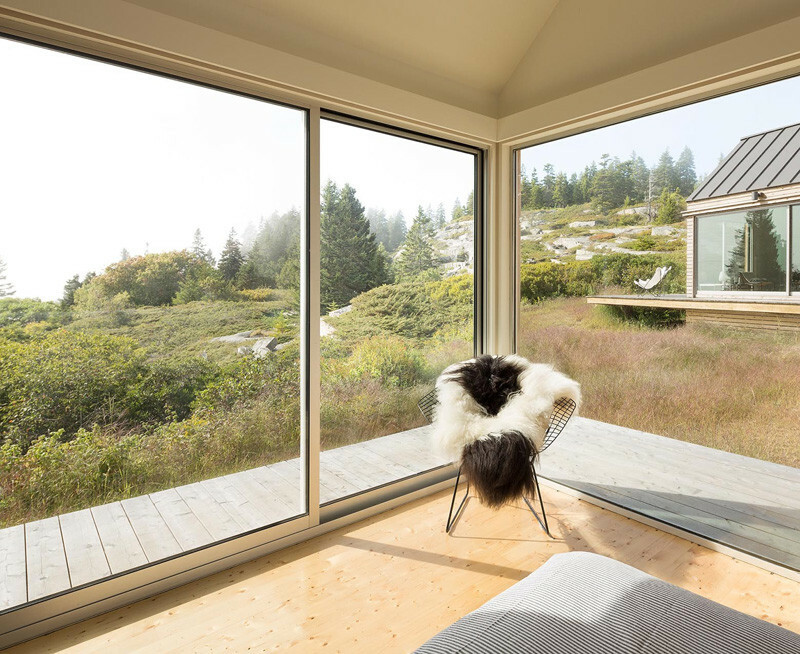 Inside, there is a a nice living space, giving guests privacy and space to relax in. 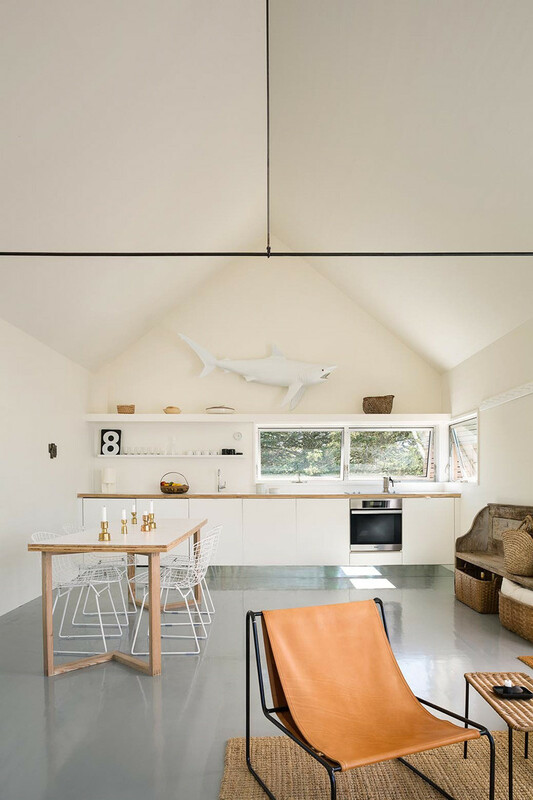 As well as a kitchen and dining area. 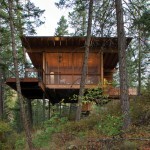 Here is the view from the bedroom within another of the cabins. 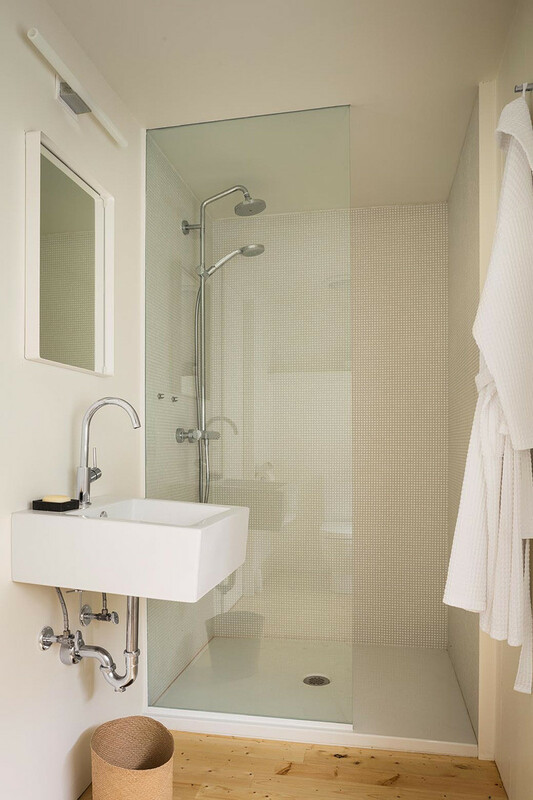 The cabin also has a small bathroom.